Every fall, our family camps at Jenny Jump State Forest in Hope, NJ. And every fall, I am amazed at the beauty and brilliant colors of the forest. It rained our first night there, but we were cozy, warm, and dry in our trailer. There’s something about waking to the sound of rain on the trailer’s roof while being dry and warm in your sleeping bag. It is 10:30 in the morning at Jenny Jump. We are relaxing in our trailer, listening to soft bluegrass music, the sound of rain on the canvas roof over my bed, and the propane heater producing warm air flowing through our cozy space. G is sitting on the sofa reading a book while I sit next to him, warming my feet at the heating vent. JP is still asleep in his bunk. E is in my bed with her doll and her book. She is wearing leopard-print earmuffs. This year, we were joined by my husband’s brother, his family, and some friends who stayed in shelters (simple cabins) in the park. In the morning, while waiting for the rain to stop, we read books and played Bananagrams. 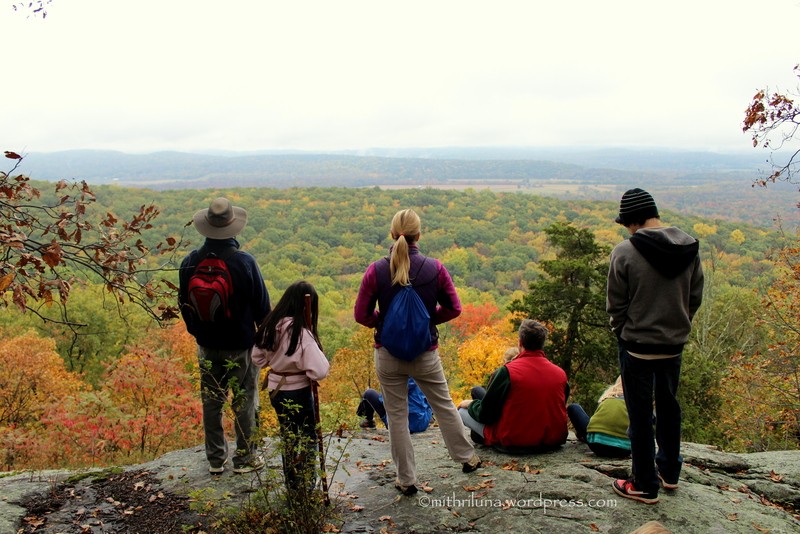 Once it stopped raining, we hiked the beautiful Summit Trail and were treated to stunning views of the valley. After lunch, we gathered around the campfire for s’mores and hot chocolate. Later at night while sitting by the campfire, we viewed the stars above us as the sounds of crickets and cicadas lulled us to drowsiness. The next morning, we awoke to brilliant sunshine. After church and a hearty breakfast, we hiked to Ghost Lake where we were dazzled by the reflection of the changing leaves upon the still surface of the lake. 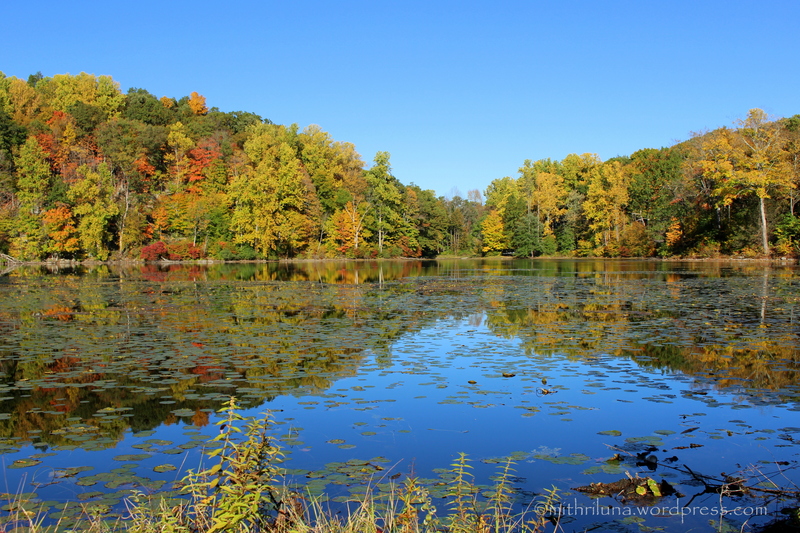 We had a restful time away surrounded by the glorious beauty of nature in the fall. Today I am so grateful for the season of fall. If you want read a previous post about Jenny Jump, click here. Making me want to go camping right this minute! What a beautiful sight. Words cannot do it justice. That second to last picture, where y’all are standing at the summit and looking down as a family… I just teared up, it was so beautiful. I love the fall palette that we are blessed with every year. We love going on hikes just to enjoy it all. Thanks for the gorgeous photos! I hope one day we can visit – so very different from our own national parks in autumn (fall). Thank you Ruth for visiting and your kind words. I hope you get to visit someday too. Beautiful colours. It reminds me of my trip to Algonquin Provincial Park a couple of weeks ago (post coming soon). Thank you Jaspa! I will have to check out your pics! Looks like a good time was had by all. Beautiful photos. Love the Ghost Lake.